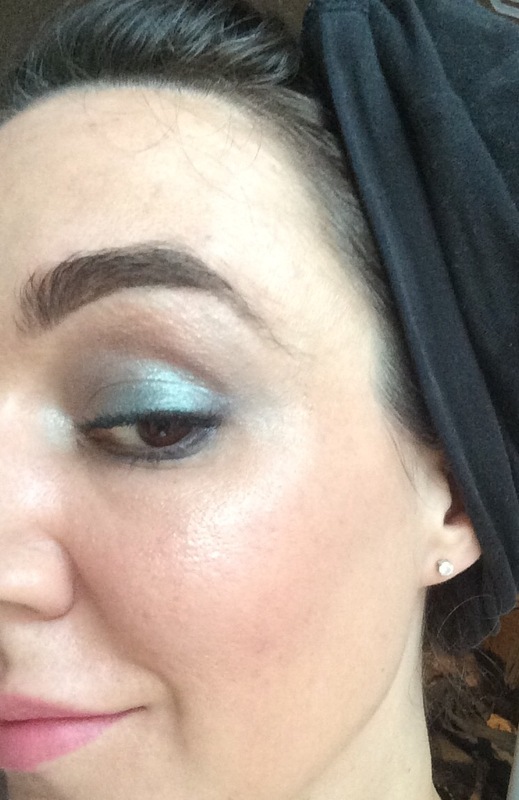 Blog Review of Morphe 35D dark colour smoky eyeshadow palette. 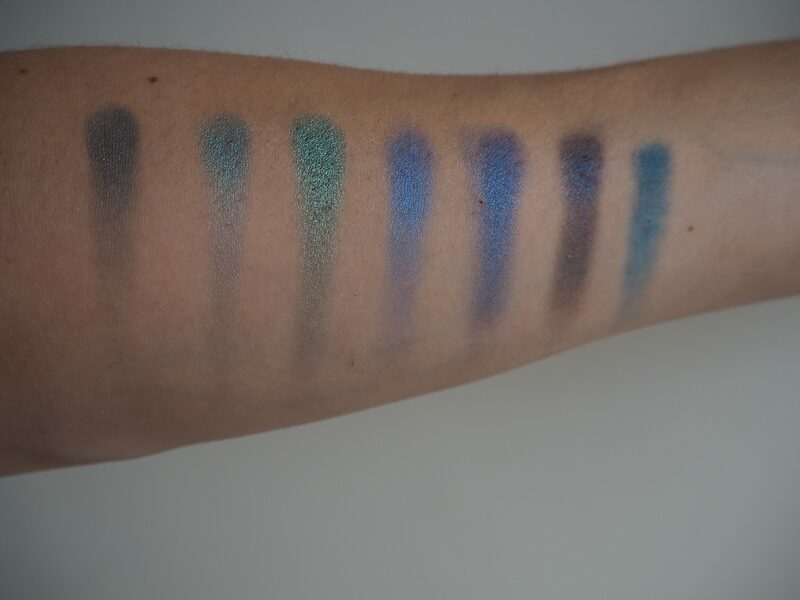 Hope you like swatches!! My husband bought me this palette for my birthday. I nearly fell over I was so surprised. He had been given an insider tip off by a makeup artist friend. Cheers Laura for sorting me out! This is the first thing I’ve had from Morphe (or Morphe brushes to use the full name). Morphe specialises in makeup brush sets and eyeshadow palettes. Morphe is based in California so you won’t see their palettes in UK shops-you’ll have to go online for it. It might just be worth doing so. They’re pretty affordable. This 35d palette was £21. If you compare that with an Urban Decay palette, which comes in at £38 for 12 shades then £21 for 35 is a bargain. The packaging is basic- black plastic case with no mirror. It has a sleek design which gives it a bit of style. Inside we have 35 good sized dark colourful eyeshadow pans. 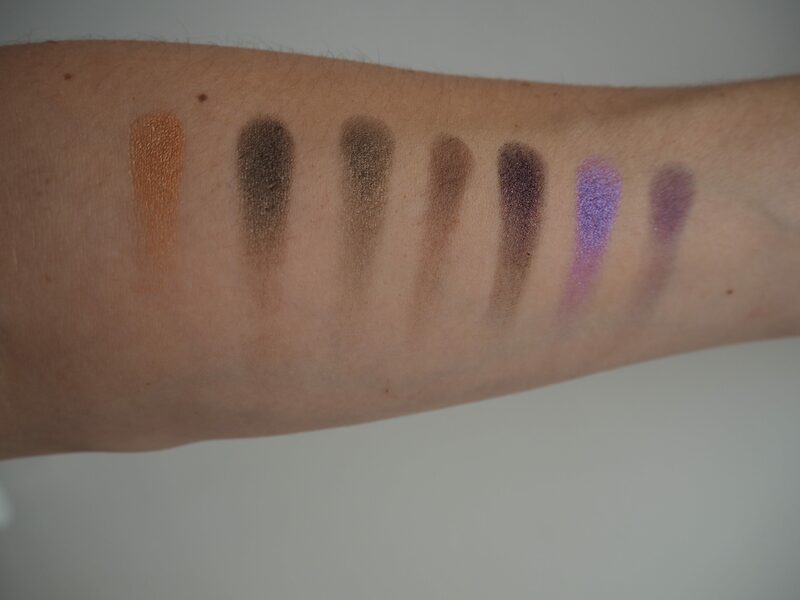 Row 1 consists of a gold, 2 bronzes, a matte burgundy, metallic dark purple, metallic bright purple and a matte purple. Row 2 consists of a green grey with glitter, metallic turquoise, metallic moss green, metallic bright blue, metallic dark blue and matte navy. Row 3 has metallic taupe, metallic dark pink, a matte burgundy, matte dark purple and matte bright purple. Row 4 has metallic pink grey, metallic brown, shimmering taupe, matte red brown, metallic grey and shimmering grey. Row 5 consists of 2 bronze-greys, a matte dark grey, a metallic black, a black with gold glitter, a black with silver glitter and a matte black. So many colours! 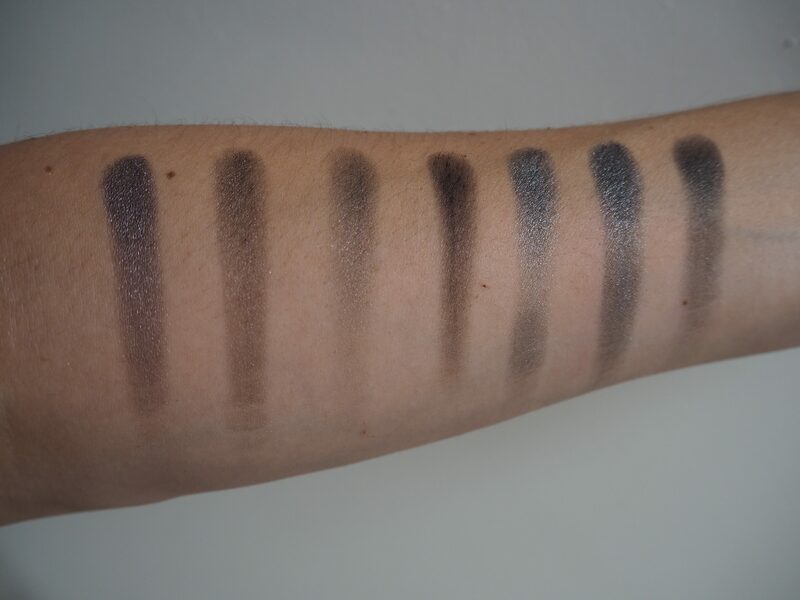 This palette is your one stop shop for a dark coloured smoky eye. 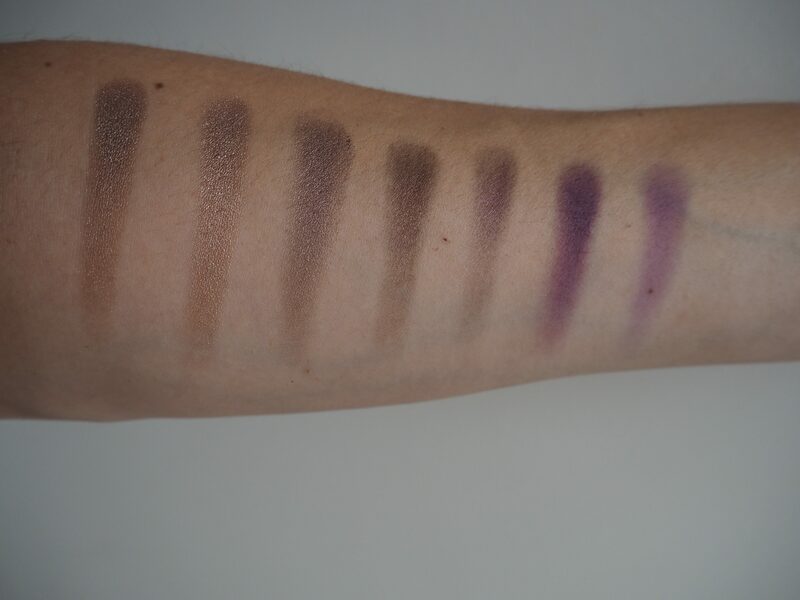 As with most eyeshadow palettes some of the shadows swatched better than others. I took it upon myself to put a little blob of nail varnish next to the shadows that I found really soft and pigmented. Most of the shades are good but these were really lovely. Morphe’s eyeshadows blend really well with no fall out. I find it lasts well with no significant creasing. 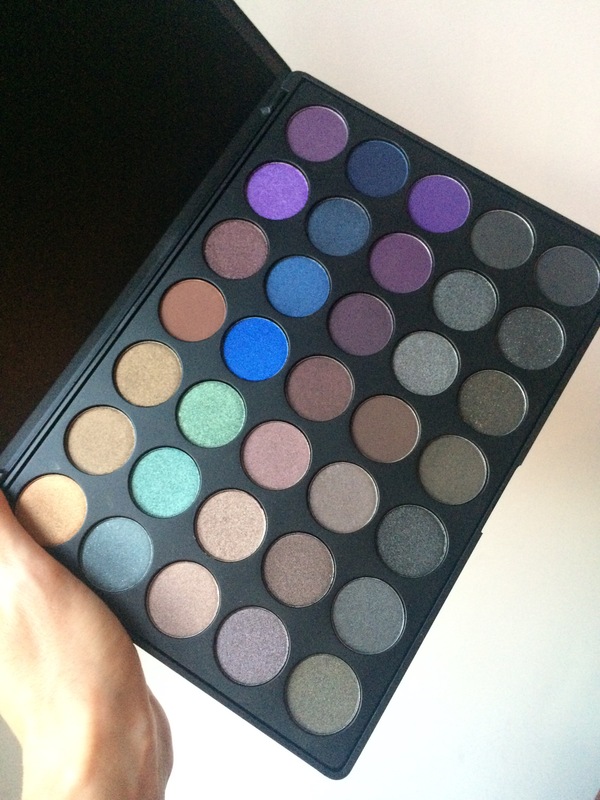 Morphe’s 35d palette is a lovely palette, there are so many beautiful shades and finishes to choose from. It makes me wish I had more eyes. I just swipe on an eyeliner pencil and pick a colour for the day to blend on top, it makes me so happy.